Long before she was Carole King, chart-topping music legend, she was Carol Klein, Brooklyn girl with passion and chutzpah. She fought her way into the record business as a teenager and, by the time she reached her twenties, had the husband of her dreams and a hot career writing hits for the biggest acts in rock ‘n’ roll. But it wasn’t until her fairytale life began to crack that she finally managed to find her true voice. 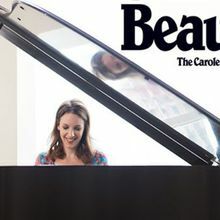 BEAUTIFUL tells the inspiring true story of King’s rise to stardom, alongside husband and co-writer Gerry Goffin and fellow song writers Barry Mann, and Cynthia Weil, set to the music that made her one of the recording industry’s most enduring icons.